Capacity per Compartment 6 oz. Offer your customers a small sampling of delicious berries, small soup samplings, and more in these CAC CMP-D10 10" square 4-compartment tasting trays. 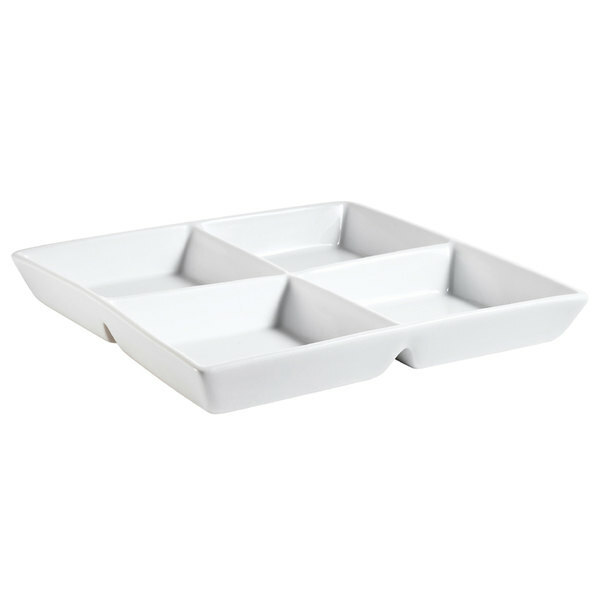 Made from bright white porcelain and with four 1 3/8" deep compartments, they will add a stylish element to any trendy, upscale restaurant. Capacity (per compartment): 6 oz. Love this 4 compartment tasting tray. Great for paries. You can put variety of food on the tray without them touching. Great price for the case.